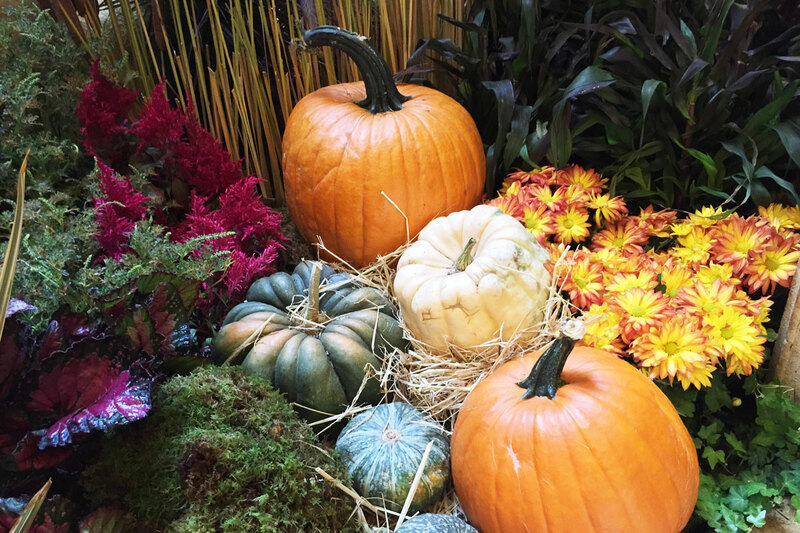 If you’ve been waiting for chunky sweaters, hot apple cider and a crisp autumn breeze, don’t hold your breath. 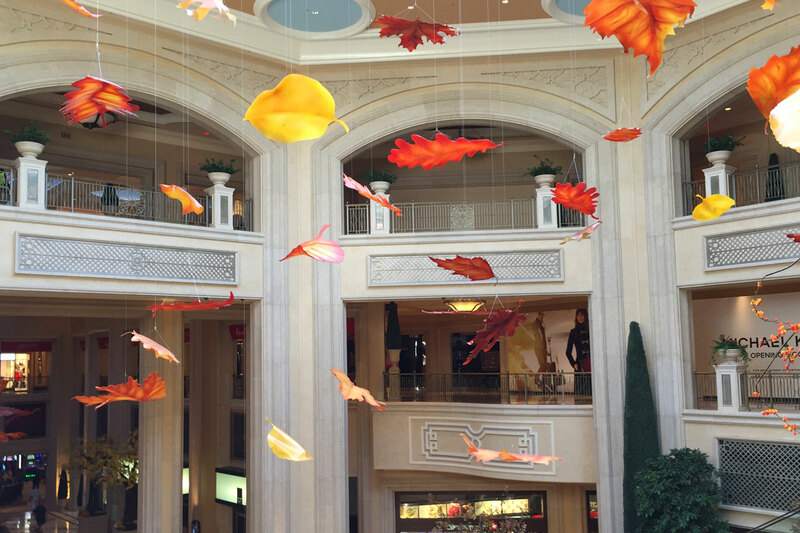 Unfortunately, Vegas continues to be the land of perpetual swelter, keeping us locked in summer’s scorching grip. So until fall actually arrives, we’ve decided to fake it ’til we make it, and luckily so has the Palazzo. 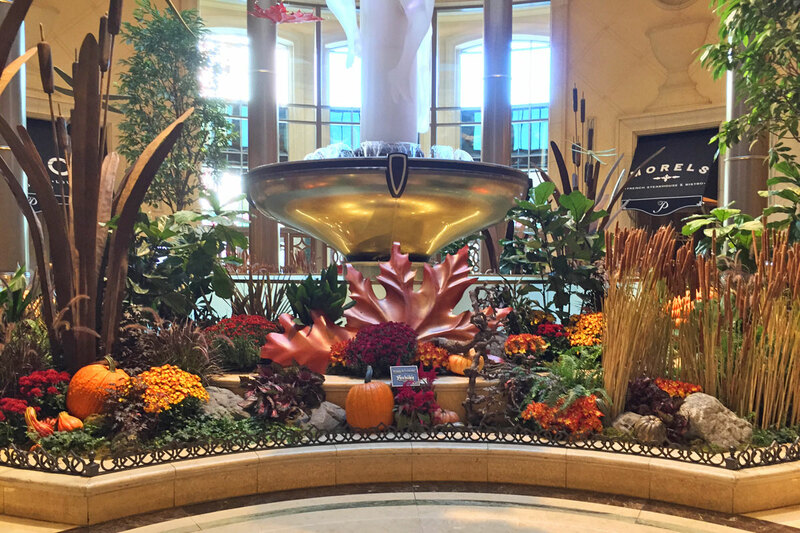 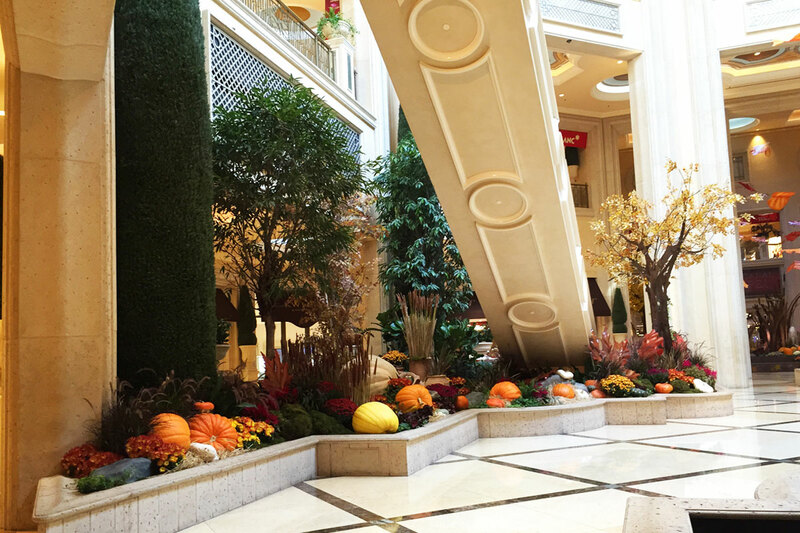 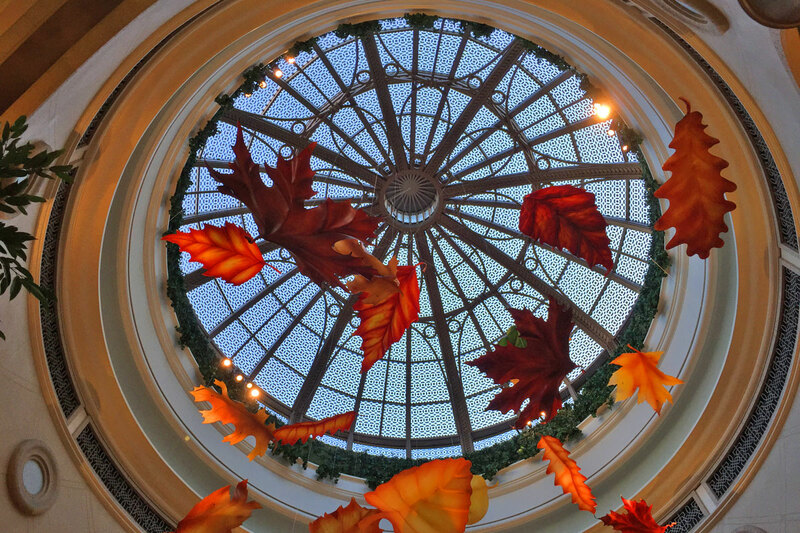 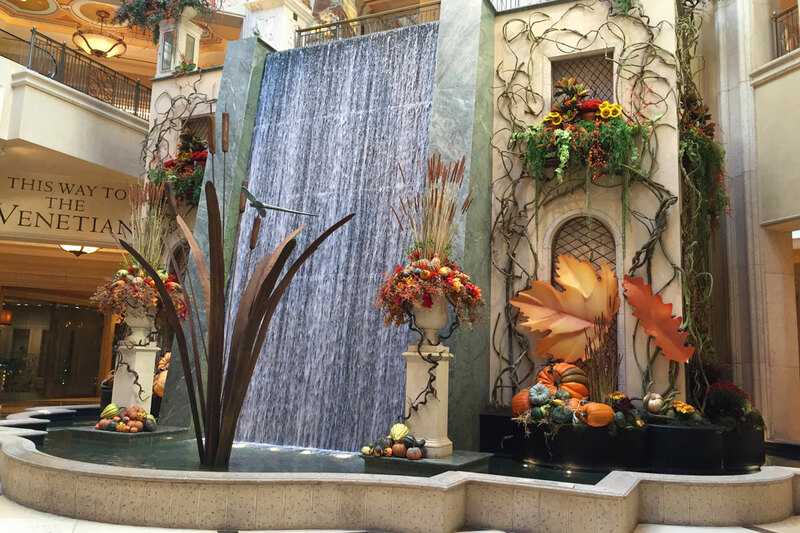 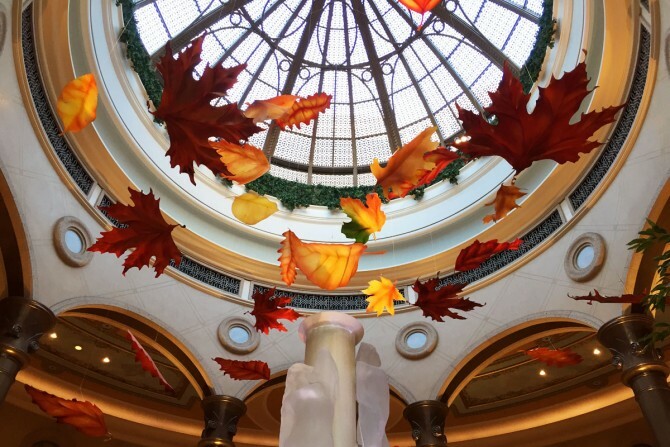 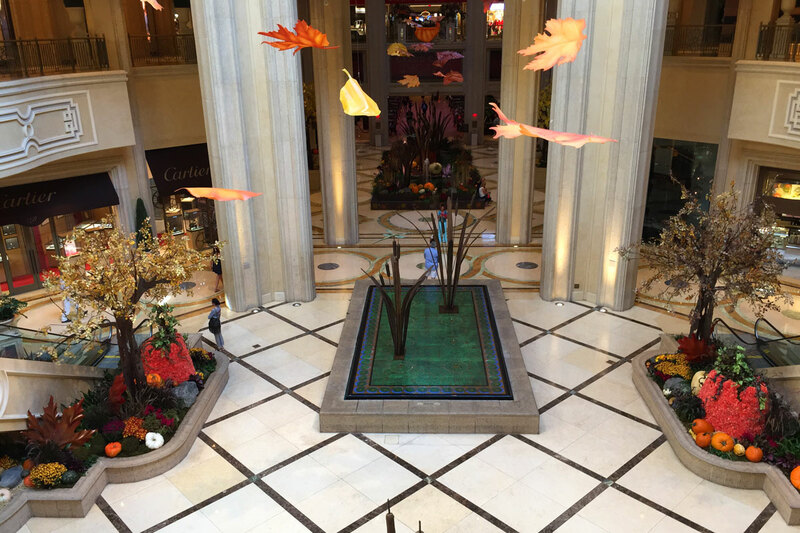 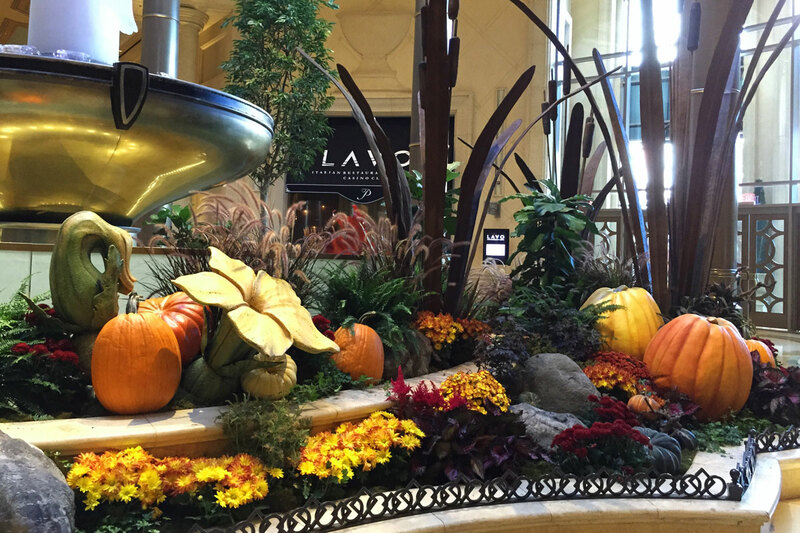 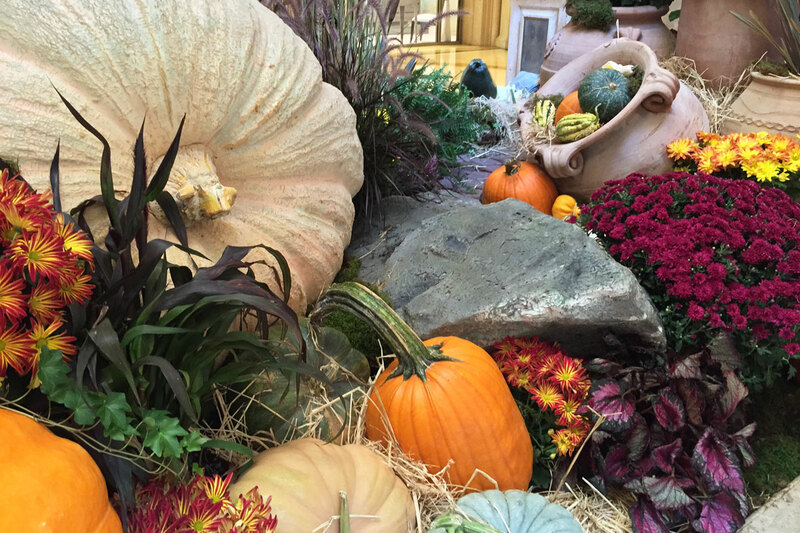 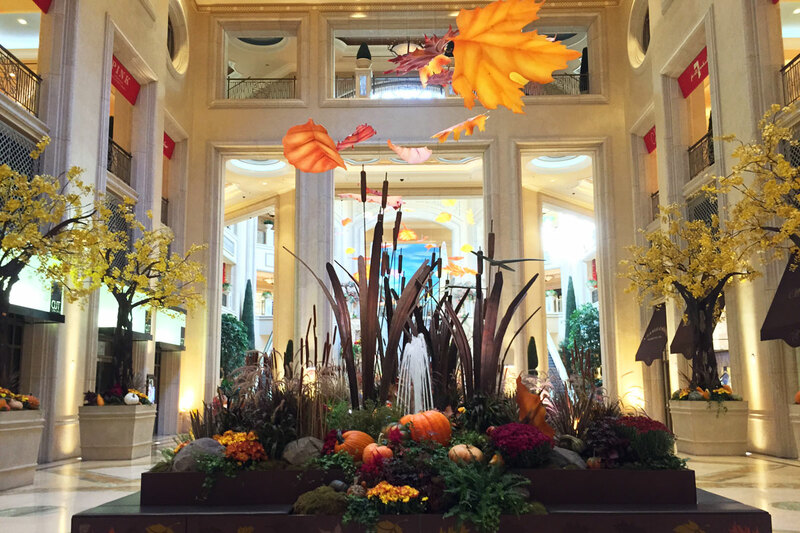 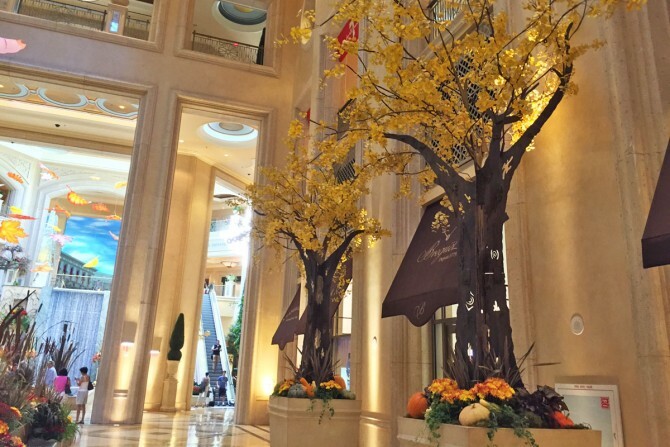 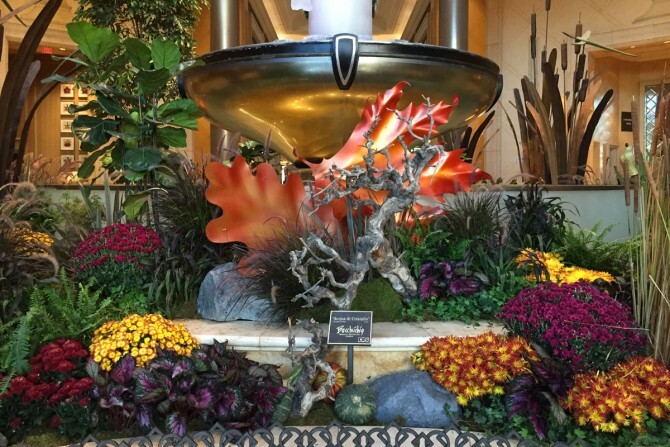 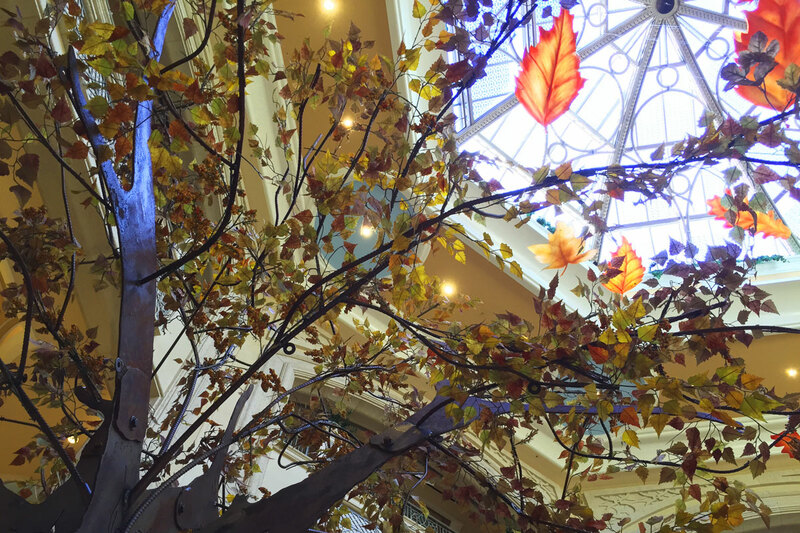 The Waterfall Atrium has been completely transformed into the burnt, earthy hues we’re all dying to welcome in their new autumn floral display that debuted this week. 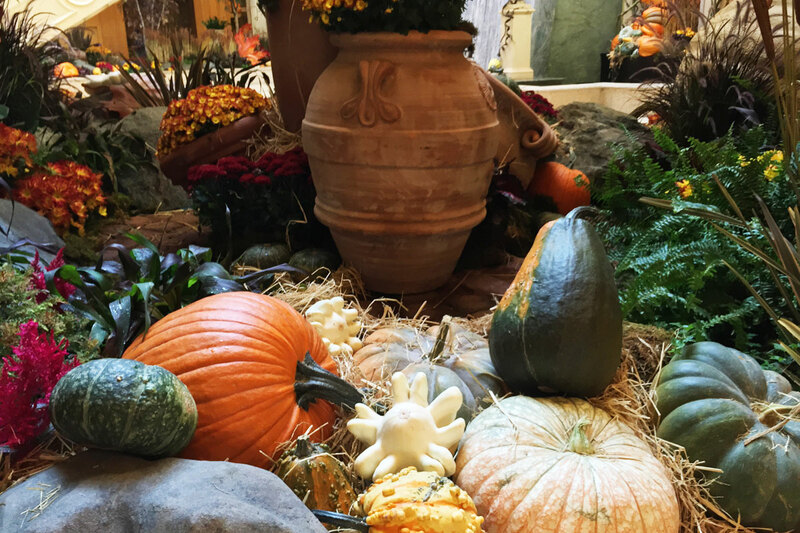 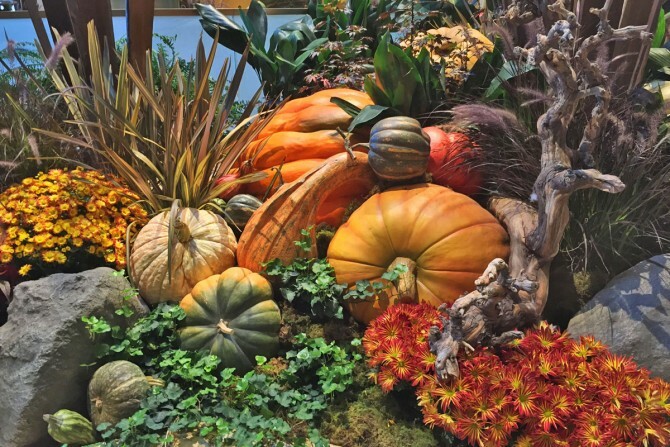 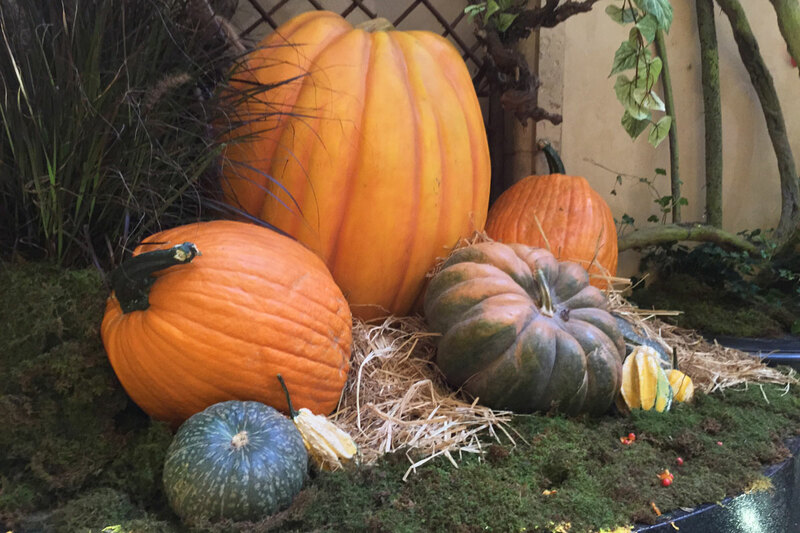 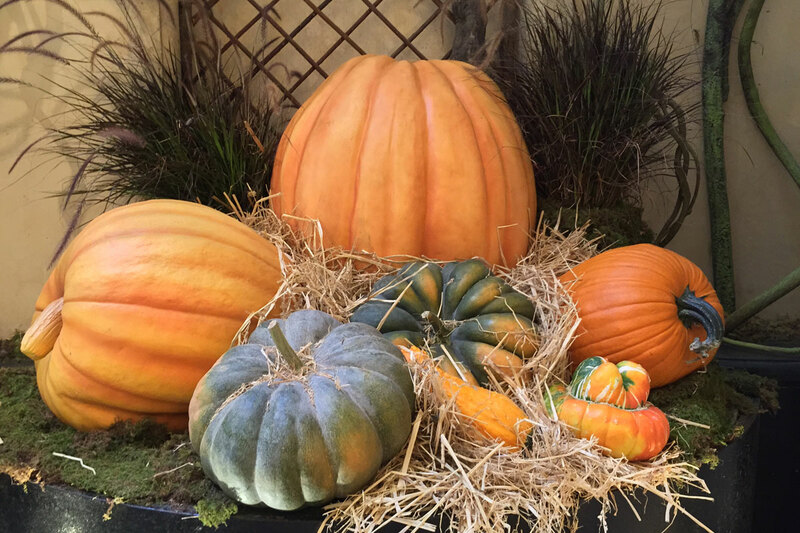 The design features layers of pumpkins, gourds and potted mums with traditional Italian terracotta urns. 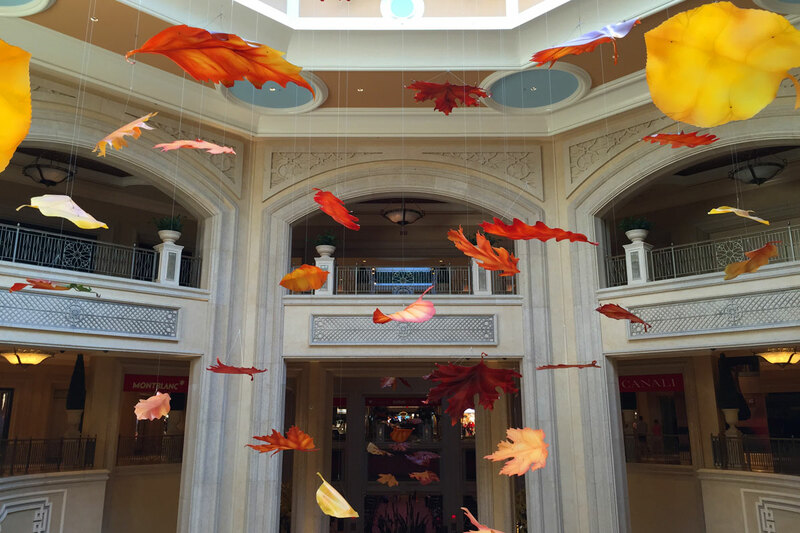 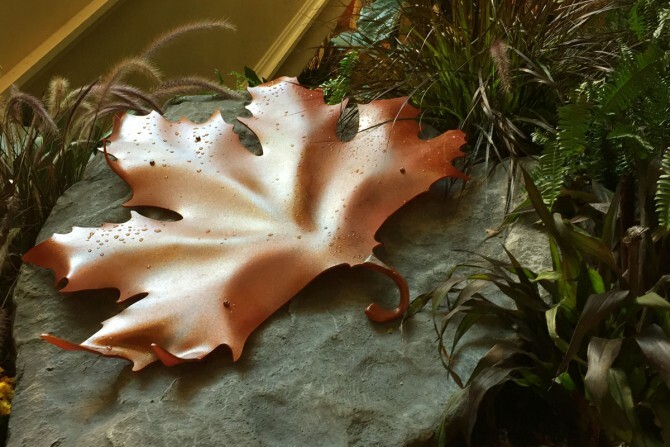 The installation, which can be seen in both the atrium and lobby, also features 15-foot iron cattails and giant fall leaves that are suspended from the ceilings. They’ll probably make you wish there were freshly-raked piles of leaves to dive into, alas there aren’t. 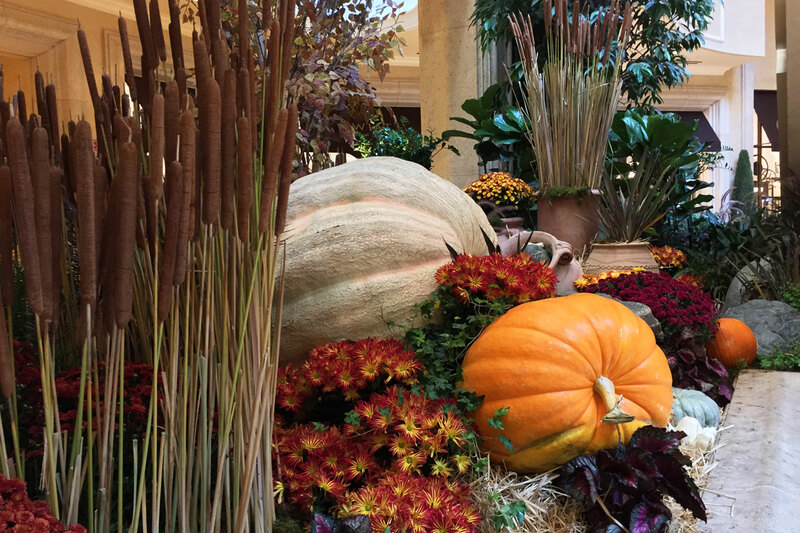 And we can pretty much guarantee a ride in the paddy wagon if you do go diving into anything but a plate of spaghetti. Rounding out the seasonal transformation are sculpted birch trees and two large floral pumpkins, made completely of orange carnations. 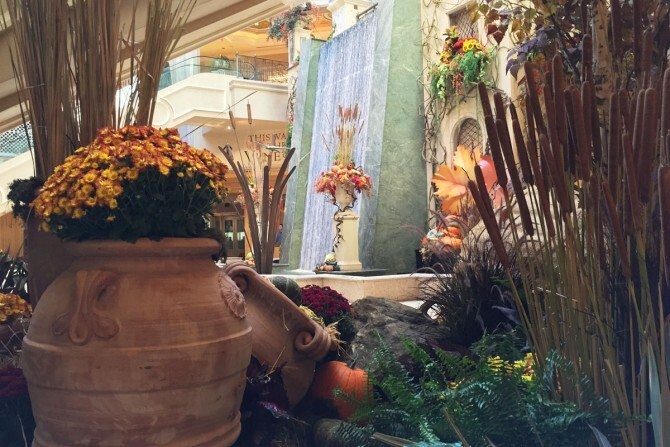 We’re beyond ready for fall and thankfully the Palazzo is giving us some relief. Hey summer, give it up already will ya? 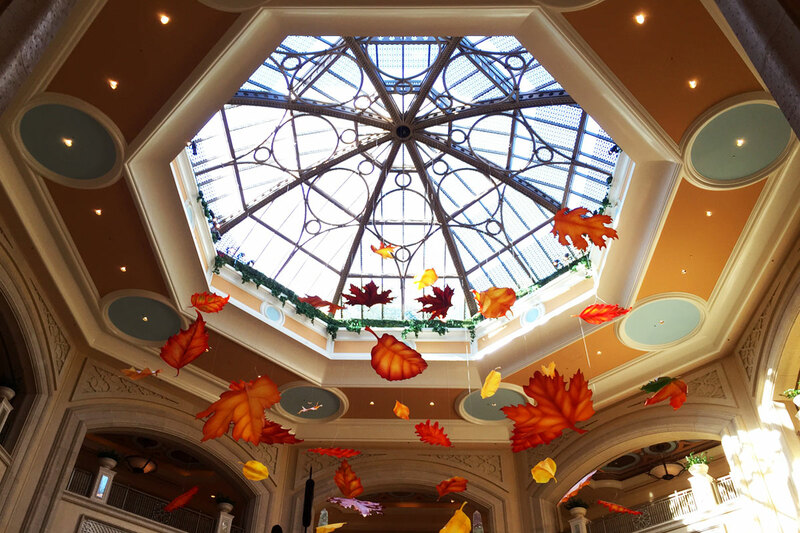 There are 60 leaves suspended from the ceiling. 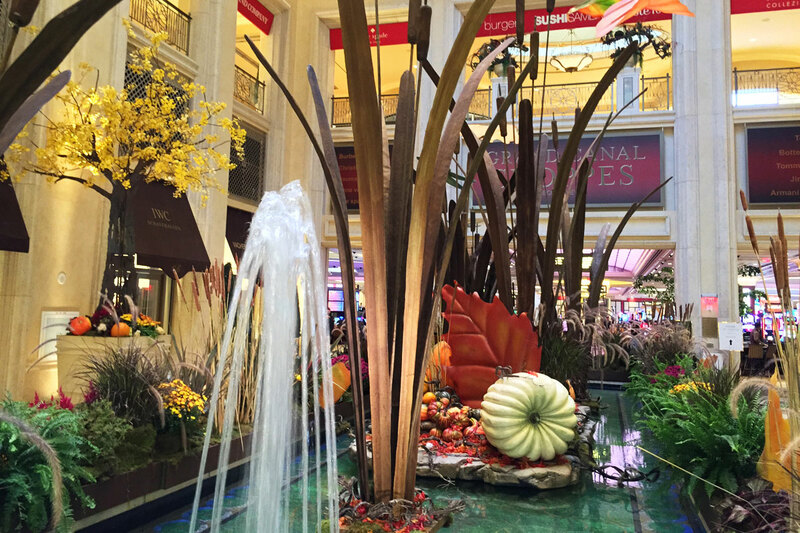 3,000 cattails were preserved for the display. 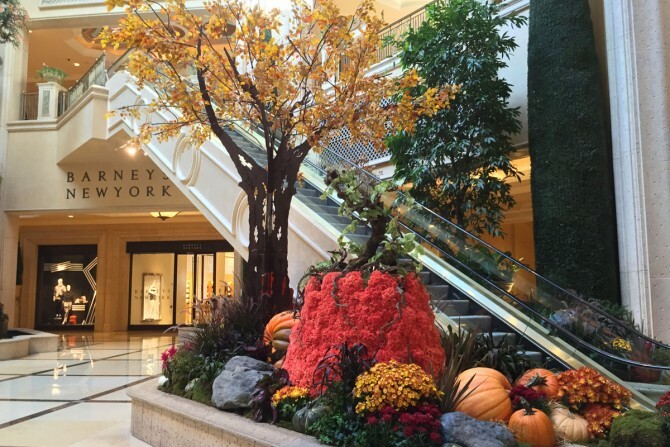 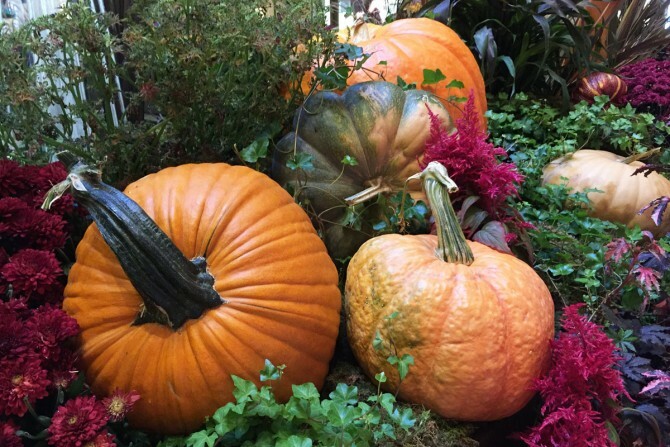 There are 3,500 carnations in each topiary pumpkin. 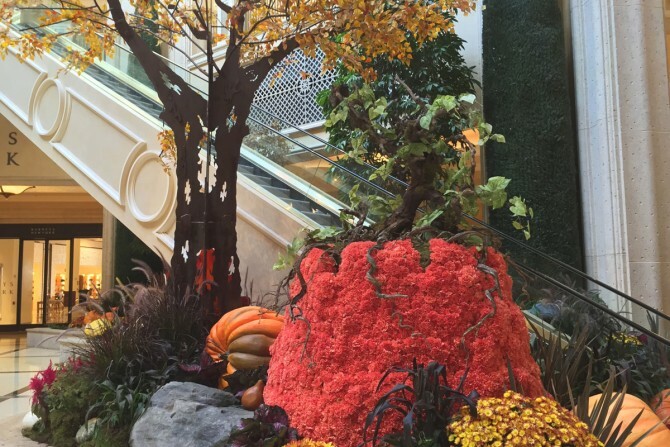 Throughout the display, more than 800 flowering plants were used, including chrysanthemums, garden mums and celosia. 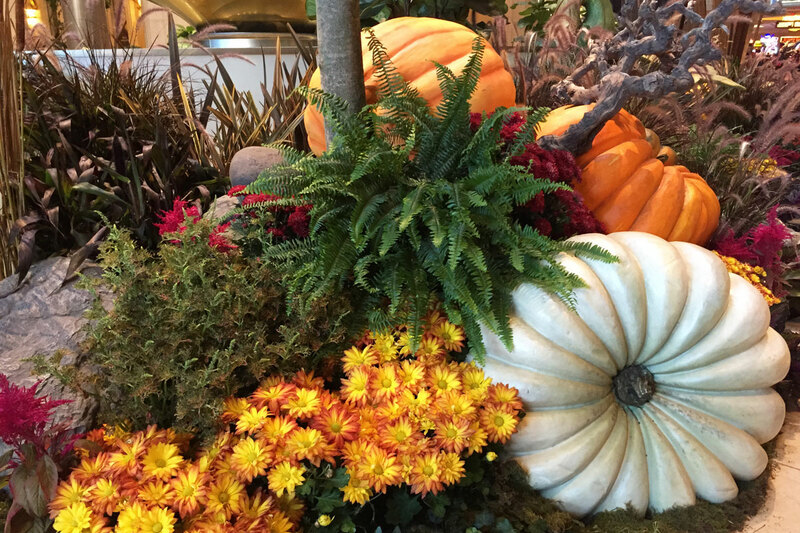 900 additional plants are used as fillers. 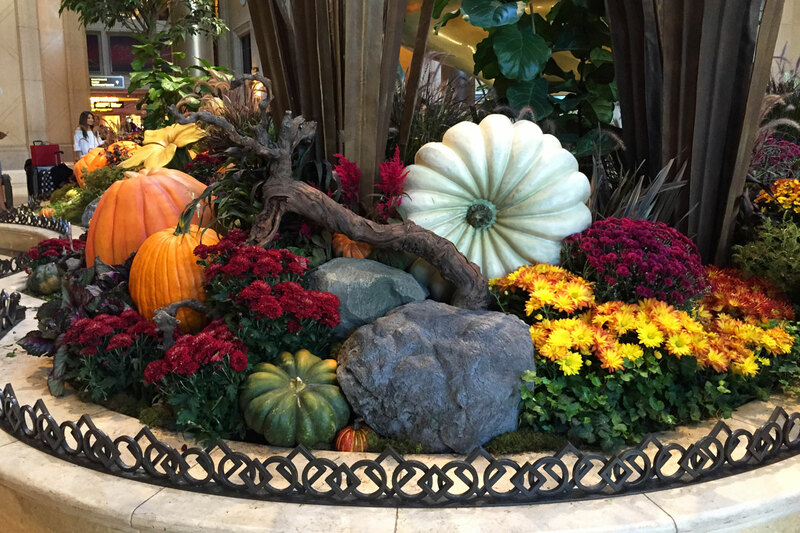 It takes five gardeners four hours a day to maintain the gardens.